In every relationship, there’s bound to be several common interests. It can be a shared love for food, a passion for the arts, or collecting something valuable. Whatever the case may be, these sharing these hobbies can be a great way to improve and enhance the relationship. You’ll have something amazing to bond over and your time can be spent immersed in these things. As a result, you get to know more about your better half. You’ll also get to share a part of yourself to this person and have something meaningful only you two know about. 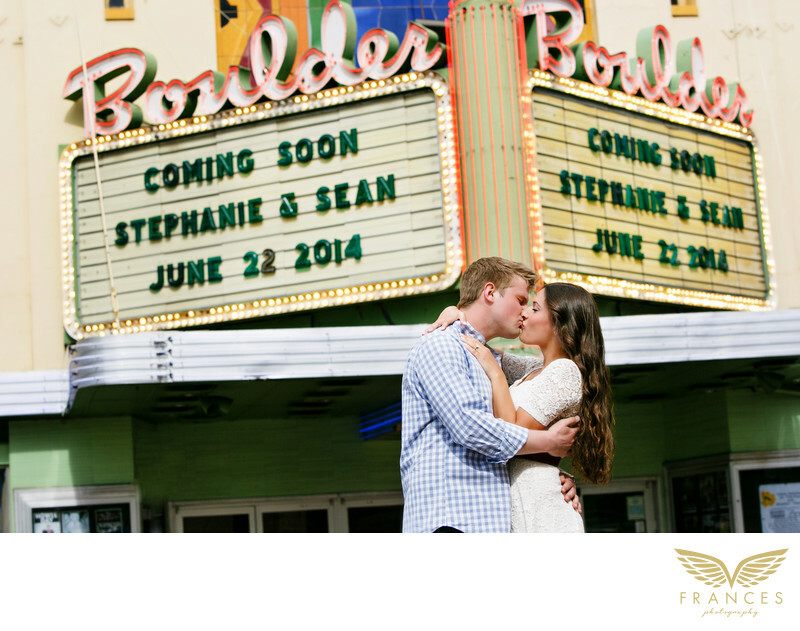 When coming up with a concept for your engagement photography, one of the most common interests couples share is a love for the movies. This is a solid idea because there is so much you can do to show your love for each other and your love of the movies. Your engagement photographer will pitch a lot of ideas and it’s up to you whether it can work or not. The most important thing here is you’ll feel relaxed and natural when the actual day of your engagement session comes along. When you allow yourself to be relaxed during this particular day, you’ll be rewarded with images that can last a lifetime. Location: 2032 14th Street .